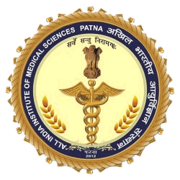 AIIMS Patna Recruitment 2019 - Walk in for SR Post in General Medicine in Department of General Medicine, AIIMS Patna, Bihar on Ad hoc Basis. Candidates are invited by AIIMS Patna to attend walk-in-interview to be held on 16 Apr 2019 for 5 vacancies. Pay the Examination Fee Demand Draft/Drawn in favor of "AllMS, Patna" Payable at Patna . 5 post-graduation degree. i.e. MD/MS/DNB/equivalent in the concerned subject from recognized university/institute. (iv) MBBS Mark Sheet v) MBBS Attempt Certificate .